The culture of 3D movie goers. Tissue culture cells growing in three dimensions. Traditionally, mammalian cell culture means living cells grown outside the body on specially treated tissue culture plates in specialized incubators. Millions (dare I say billions?) of experiments utilizing this technique leading to huge advances in research and medicine. To improve on this convention, innovators develop cultures that grow, not just in two dimensions (2D), but three dimensions (3D). General consensus in the field now is that these 3D cultures are more physiologically relevant—closer to native whole organisms—than conventional 2D cultures. With more use of 3D cultures in business and research, a new challenge to testing larger volumes of cells arises. Almost all previous assays used to test qualities of cells in culture have only been tested and optimized for traditional 2D models. What hurdles face scientist who want to test (assay) their cultures in 3D rather than 2D? In thinking about differences between 2D and 3D cultures, one huge differences is the ability of reagents to diffuse longer distances into cells. Two dimensional cells tend to grow flat and spread out on the dish surface, allowing great accessibility to the innards of the cells, which scientist are obsessively interested in. 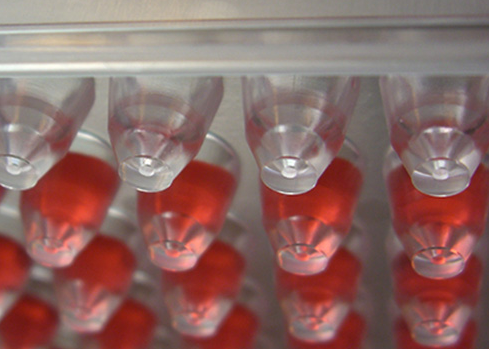 Promega offers various “Glo” assays for cell viability. Generally they are better than the usual MTT or resazurin tests in that they are less toxic to the cells and permit the same cells to be used again after the assays for even more assays (there we go again, us scientist and our obsession with assays). In general, Riss advocates optimizing any off-the-shelf assays developed for 2D cell culture with your own particular cell line and application (basic good lab practice in my book!). As always, remember to include controls, both positive and negative, and optimize the experiment to your particular assay needs. As the drug development moves towards more 3D cell culture models, the need for assays of these cultures will grow. Promega is adding to their repertoire of kits to meet this need. This entry was posted in 3D Tissue Culture, Assay Optimization, medical writing, Society of Toxicology 2015 and tagged Assay Optimization, Drug Development, medical writing, Society of Toxicology 2015 meeting, top 10 biotech advances on April 2, 2015 by admin.